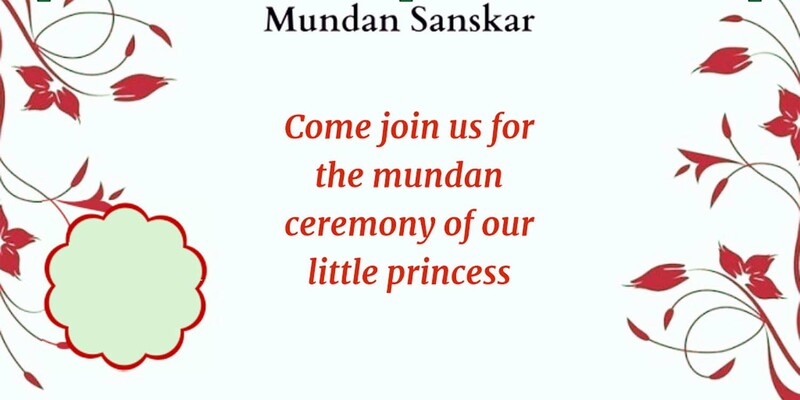 Planning to organize a grand Mundan ceremony for your little one? We have brought here the best mundan ceremony invitation quotes, card designs and wordings for you. 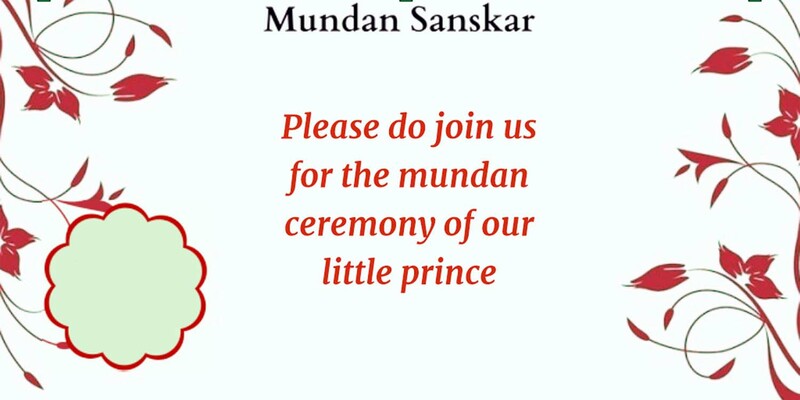 Mundan ceremony is considered to be a very auspicious ceremony in the Hindu mythology according to which, the hair of the newborn baby is being shaved off. 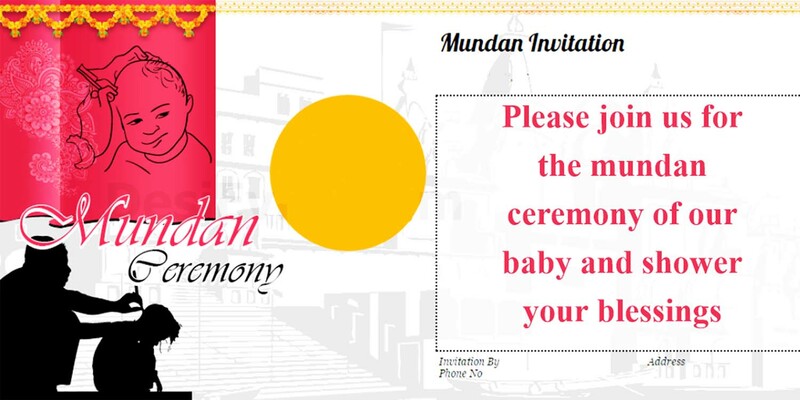 The mythology states that the hair of the new born baby has got a connection to its previous past lives and bears the traits of those. That is considered to bring ill fate and bad luck in this current life. 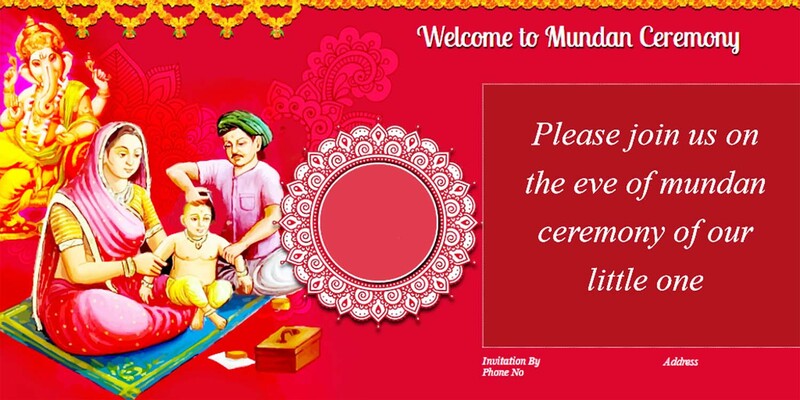 So it became necessary for the people to shave off the baby hair in order to ensure that the baby leads a non-stringed life in its current birth and stays healthy. 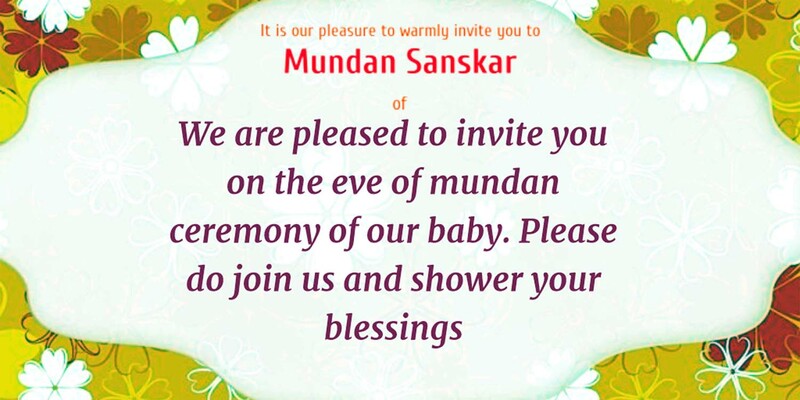 It is believed to ensure the overall well-being of the baby. 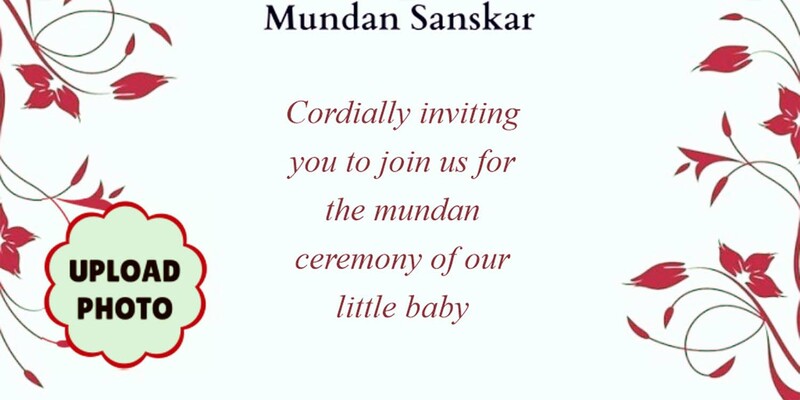 Hence parents and family of the newborn baby celebrates this event and invites relatives, friends and other well-wishers to come by and bless the baby and enjoy the moment with all others present in the ceremony. So, if you’re to invite people to such mundan sanskar ceremony then here are few mundane sanskar card, mundane ceremony invitation cards wording and mundane ceremony invitation card designs which you can use. That way, we have also collected some mundane ceremony invitation matter hindu and mundan ceremony invitation matter in hindi for easy sharing.